The Newcastle branch of Accuweigh has recently certified a weighbridge after completing extensive repairs to the weighbridge foundations. Before the quarry weighbridge could again be certified the entire head wall of the weighbridge required replacing. 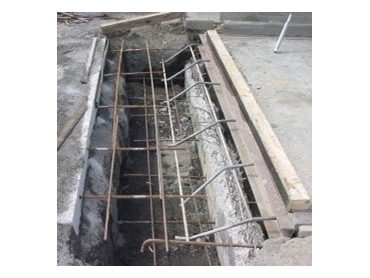 The damaged weighbridge head wall foundations were removed and replaced with a new concrete section which was then firmly attached to the rest of the weighbridge foundations. Before being certified for trade use the weighbridge was tested fully with weights and then calibrated. Trucks are required to drive over the certified weighbridge to exit the quarry so the weighbridge repairs were carried out over a long weekend so that production at this quarry was not interrupted.